I'm a cloth pad user, you all know that by now. It's healthier for me and the environment and well since I'm washing diapers and nursing pads already, why not right? 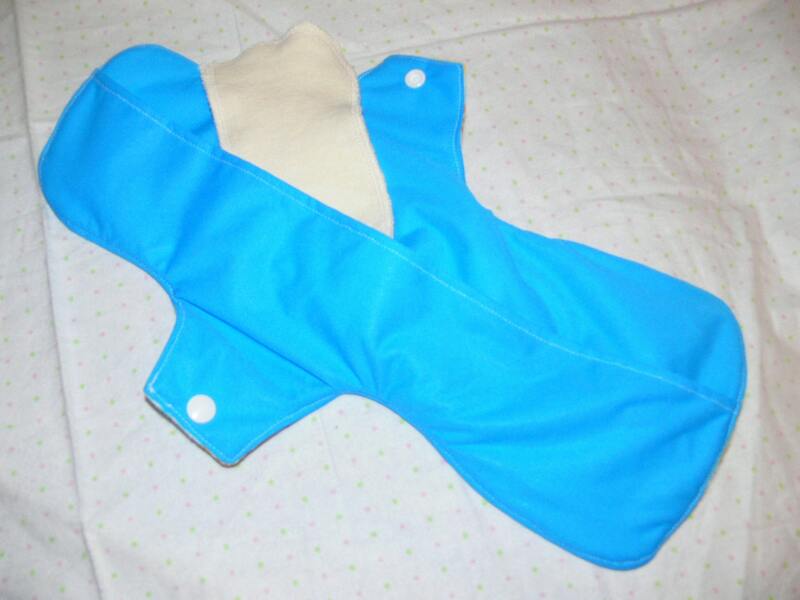 Mommy's Cloth Treasures sent me a Post Partum pad for review! My bleeding this far post partum has been far less then it was with Avery. I'm very thankful for that. By the 2nd day I was wearing a regular pad already. I do like this pad for nighttime, but I'm very thankful I didn't invest in a whole stash of PP pads because I really haven't needed them. I'm thankful to have this single pad! The pad is really soft against my skin. It's plenty absorbent, doesn't leak and it's a full 14" long so I definitely won't leak while wearing it, that's for sure. The top is flannel. Then there's 2 sewn in layers of Hemp French Terry and the bottom is waterproof PUL. Where the PUL is there is a pocket for you to stuff in an additional 2 layer Hemp French Terry pad (included). It's a pretty cool feature and allows it to dry a lot faster than a lot of other pads. It closes with a snap and stays in place very well. I've heard of some people who complain about the PUL backing because it moves around, but this pad is so large that it doesn't budge even 1/4" so I don't think that's an issue. She has lots of other pads to choose from. Price: The PP pad is $12. Which is pretty generous. I've seen some that were a LOT more expensive! I like the Brown Flower and Purple Floal pads! love the butterflies and pink/orange checks! I like the brown buttefly. Love the bright blue daisies. I like the postpartum velour pad! I like the Overnight Cloth Menstrual Pad in the brown rings pattern. I would want to try the bamboo velour cloth pad. My favorite pad is the Regular Cloth Menstrual Pad pink butterfly. I like the Pink Butterfly! I love the Overnight Bamboo Velour Pad. I have yet to find anything that will last overnight so I am still using a regular throw away pad overnights for the first day or 2. This looks like it may actually last overnight without all the bulk! I like the overnight cloth pad brown rings. I love the brown rings! I like the Regular Cloth Menstrual Pad pink butterfly!! I like the Brown Polka Dot regular pad! Like the bright blue daisies. I like the brown polka dot. I like the Overnight Cloth Menstrual Pad green peace signs. I like the brown butterfly. I like the purple floral. I've love to try the overnight. I like brown rings. I like the Overnight Cloth Menstrual Pad purple floral. 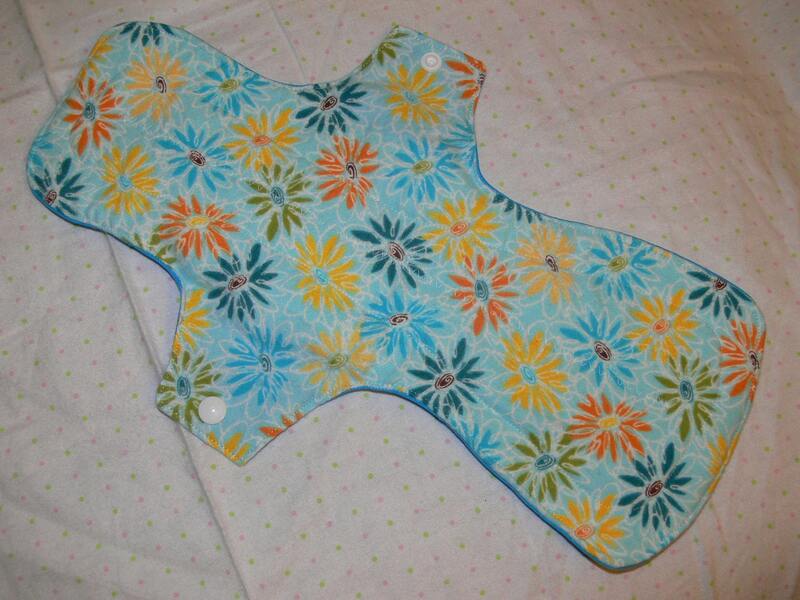 I love the Overnight Cloth Menstrual Pad peace sings and crazy flowers. I like the brown butterfly! My favorite is the regular in butterfly pattern.